Amazon is gearing up to create their own comic book series. The global giant is moving forward with Robert Kirkman’s Invincible animated series. And the voice talent will include Steven Yeun as the titular character and J.K. Simmons as his father, Omni-Man. The eight-episode hourlong series is based on Kirkman’s stellar comic book of the same name and also includes a voice cast of Sandra Oh, Seth Rogen, Gillian Jacobs, Andrew Rannells, Zazie Beetz, Mark Hamill, Walton Goggins, Jason Mantzoukas, Mae Whitman, Chris Diamantopoulos, Melise, Kevin Michael Richardson, Grey Griffin and Max Burkholder, and others. 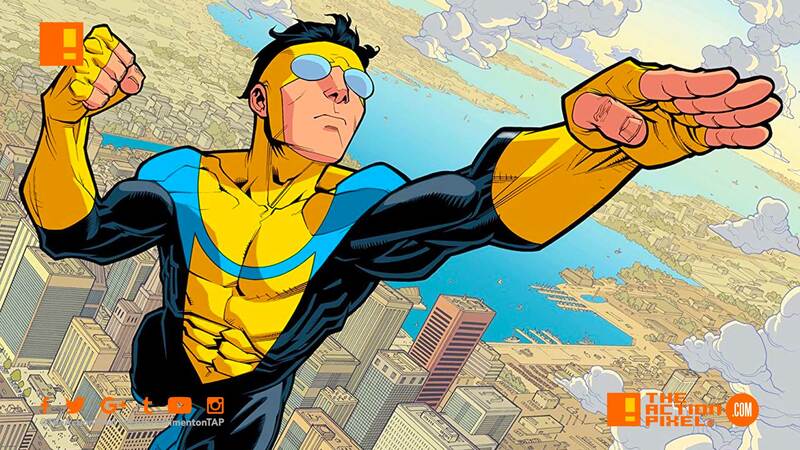 Amazon’s Invincible is described as an adult animated superhero series that revolves around 17-year-old Mark Grayson (Yeun), who’s just like every other guy his age — except his father is the most powerful superhero on the planet, Omni-Man (Simmons). But as Mark develops powers of his own, he discovers his father’s legacy may not be as heroic as it seems. The comic book is an R-rated take on the classic Superman story, so this should be pretty good (the comic is great). Kirkman is also the creator of The Walking Dead, which starred Yeun as Glenn. J.K. Simmons is known for a plethora of roles including Commissioner Gordon in the Justice League movies and J. Jonah Jameson in the Sam Raimi Spider-Man flicks. Invincible animated series is set to premiere on Amazon in 2020.